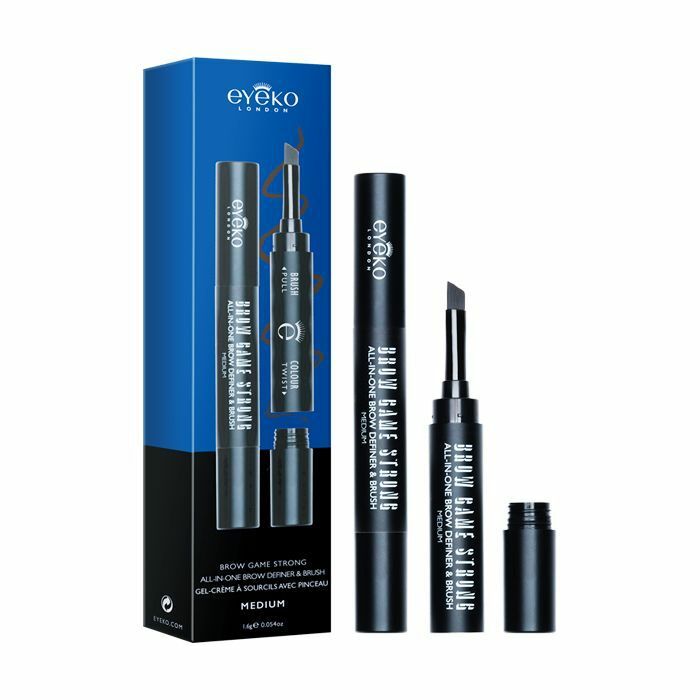 When it comes to the eyes, Eyeko is our go-to. The reason is in the name—our peepers are the brand's priority. The latest product, coming next week, is Brow Game Strong (£18), and it already has a 500-person waiting list. Why so popular? Well, I've put the product to the test, and it's foolproof. It's also ideal for anyone who tends to do their makeup on the commute (hands up, there's no shame). The dual-ended kit contains a flat, angled, brush and a wax-based pomade, so it omits the need to tote around a glass brow wax jar and separate applicator. The precision brush and quick-dry, smudge-proof formula allow you to feather on lines that mimic the look of hairs. Think microblading but with less of the expense. You can also use it to fill in any sparse areas. The colour is buildable so you can pretty quickly and easily fake volume and texture in even the sparsest of brows. The pomade contains vitamin E, which is known to help strengthen and condition brow and lash hairs. So not only is this makeup, but it's haircare too. The product is long-wearing so you can apply it first thing and you won't need to worry about touch-ups. In fact, if you cleanse around your brows, it will last into the next day (but you didn't hear that from us). The light shade is great for blondes or fair brunettes, while the medium will work on those with darker skin tones. It's surprising how versatile these two shades actually are. Having said that, I'm a natural redhead, and the fair is slightly ashy on my brows, so here's hoping Eyeko extend the shade range soon. Want bigger, bushier brows? We called on brow expert Suman to share her brow-growing tips and tricks.